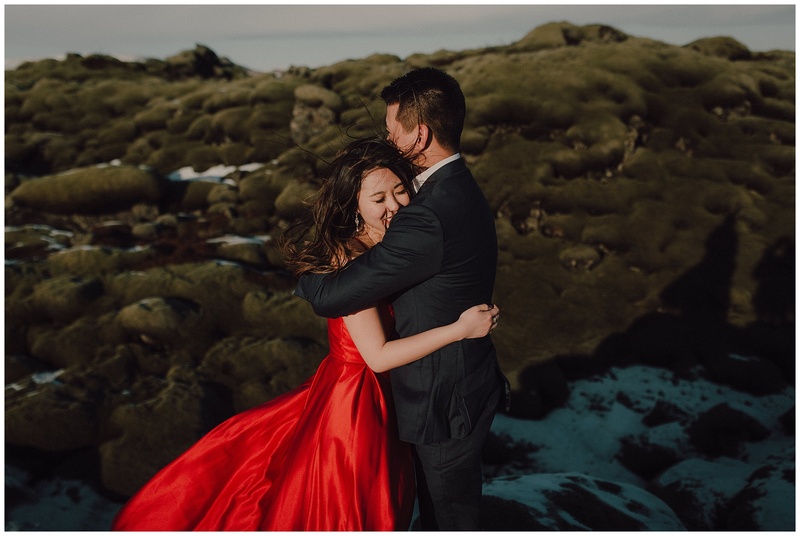 Last winter, we ventured to Iceland to spend a week enjoying the landscape, living on PB&J and to meet a few of our couples to photograph their engagement photos. 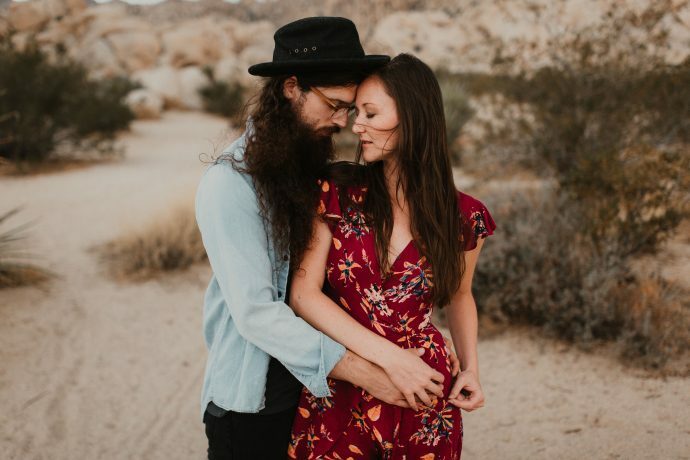 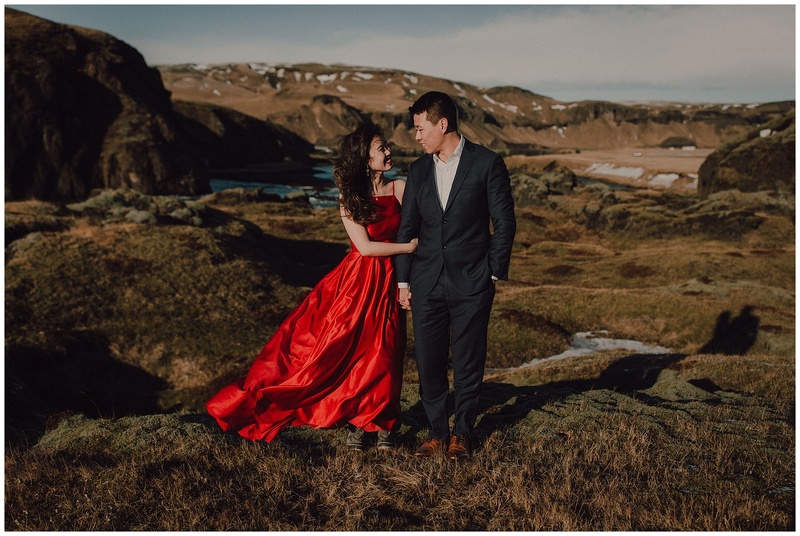 When we put word out we were going to be in Iceland, Christina and Michael decided to plan a trip to have their engagement photos taken there! 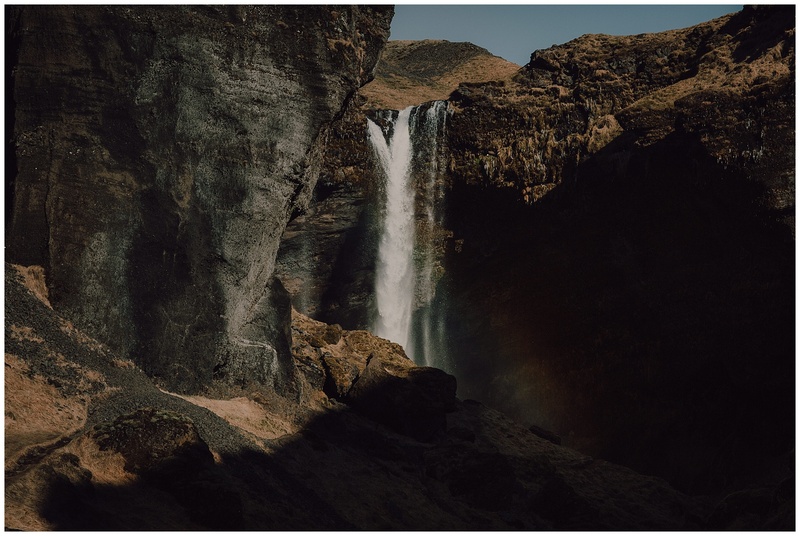 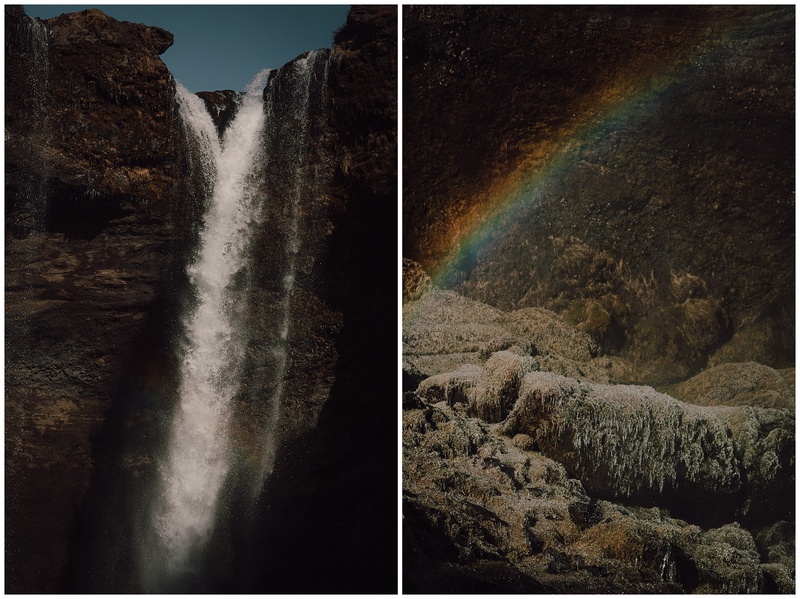 We spent an entire day exploring the south coast of Iceland, stopping in random places on the side of the road, a (sort of) hidden waterfall and then finally in Vik! 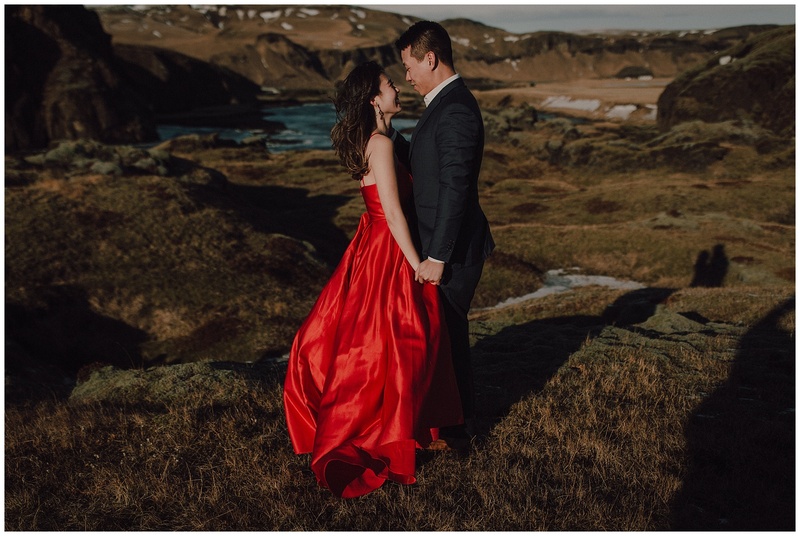 We had such a wonderful time talking about life, the why behind our career choices ( Christina and Michael both work in the medical field ) and enjoying the natural beauty that Iceland has to offer! 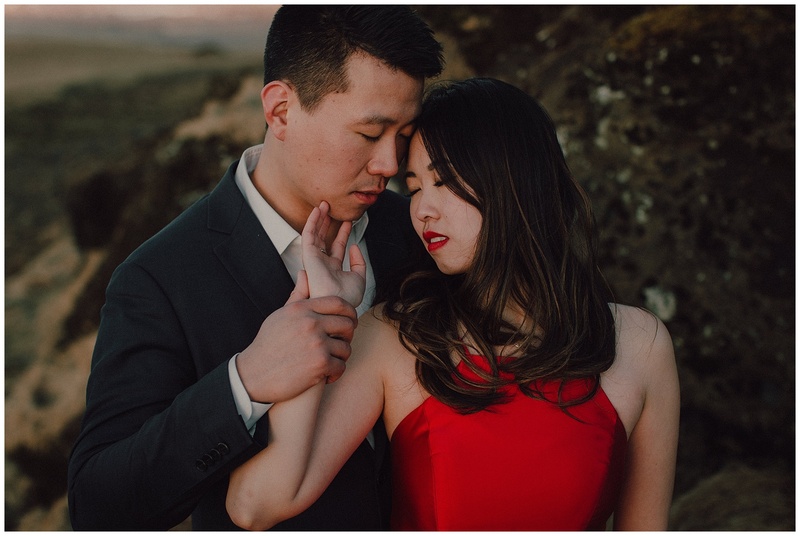 We can’t wait to shoot their NYC wedding later this year and were so stoked to have met these two! 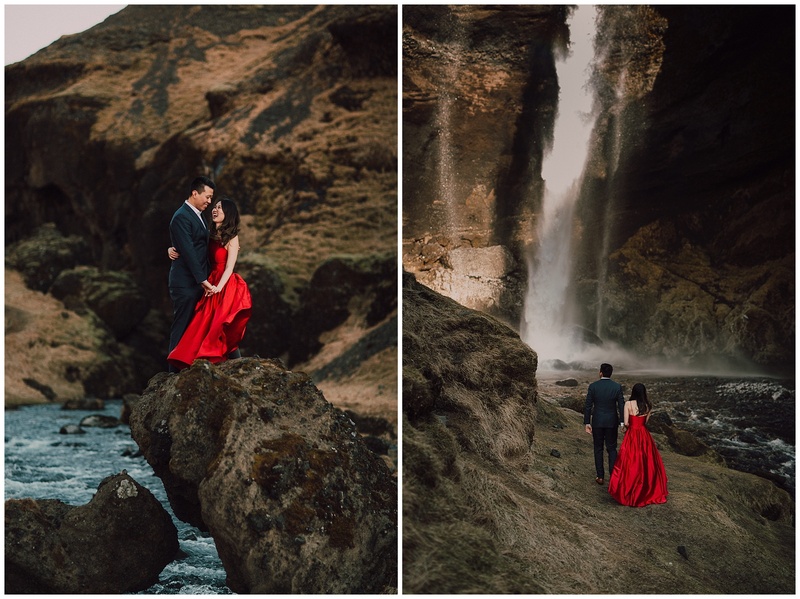 Here’s a few of our favorite photos from our time together! 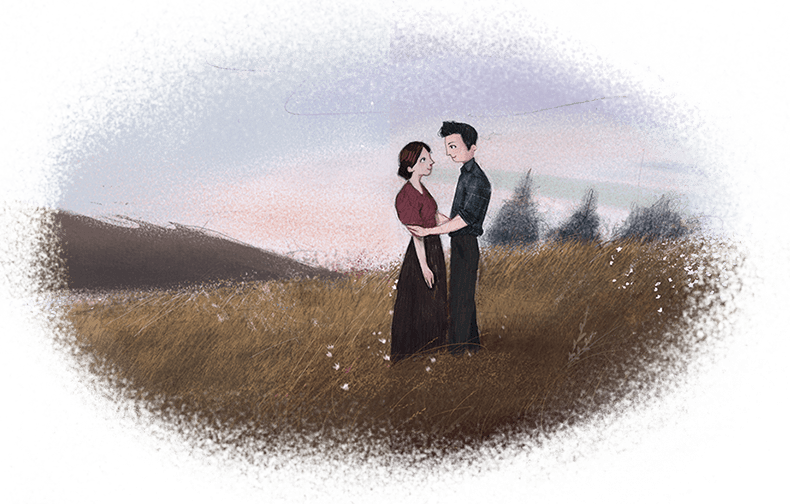 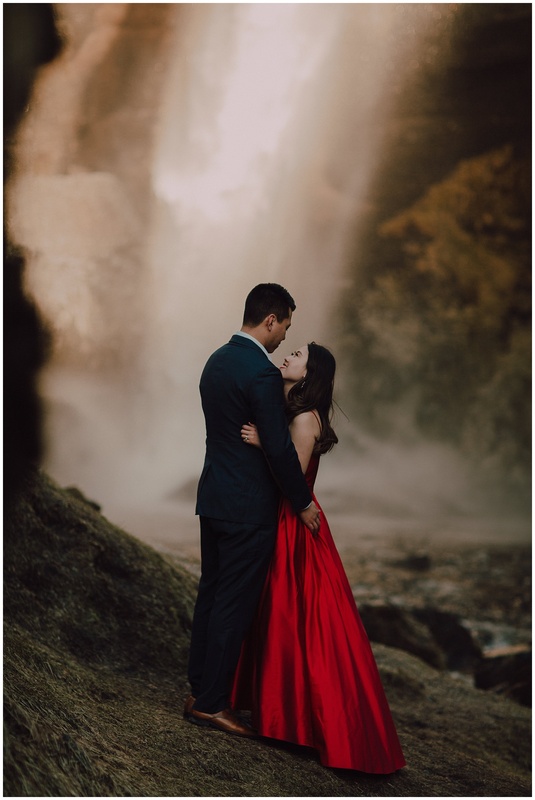 Dear lord this gorgeousness is amazing!!! 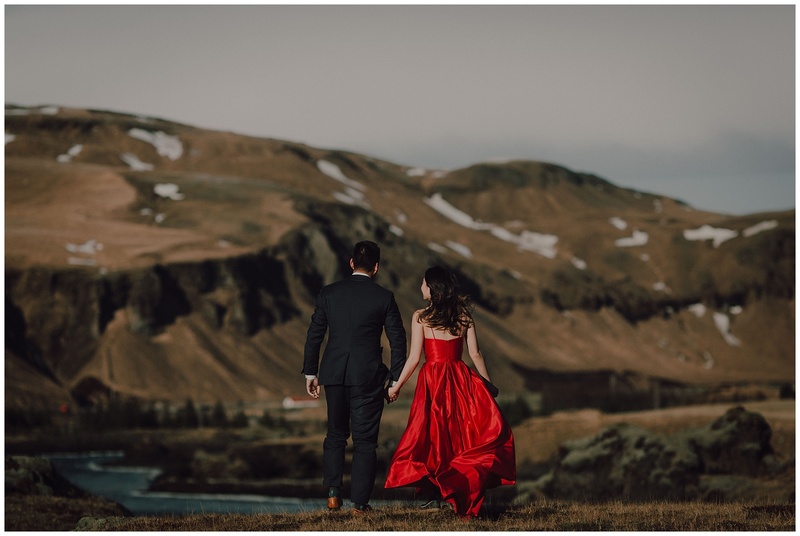 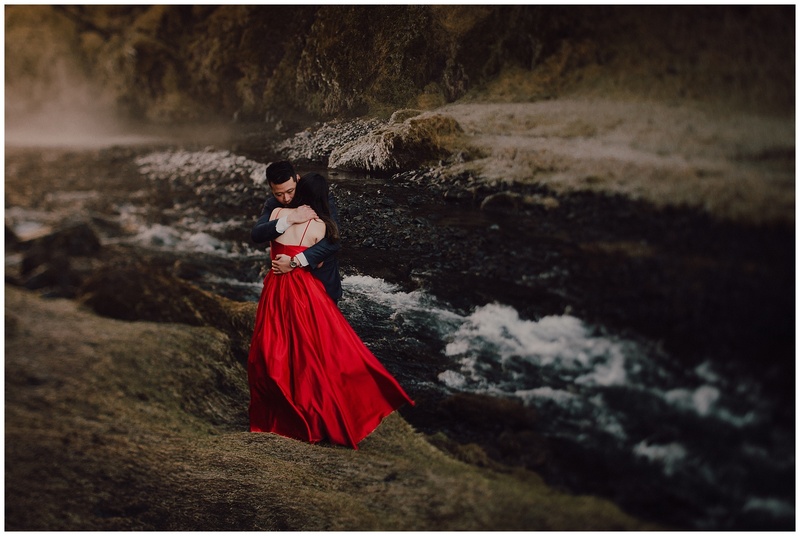 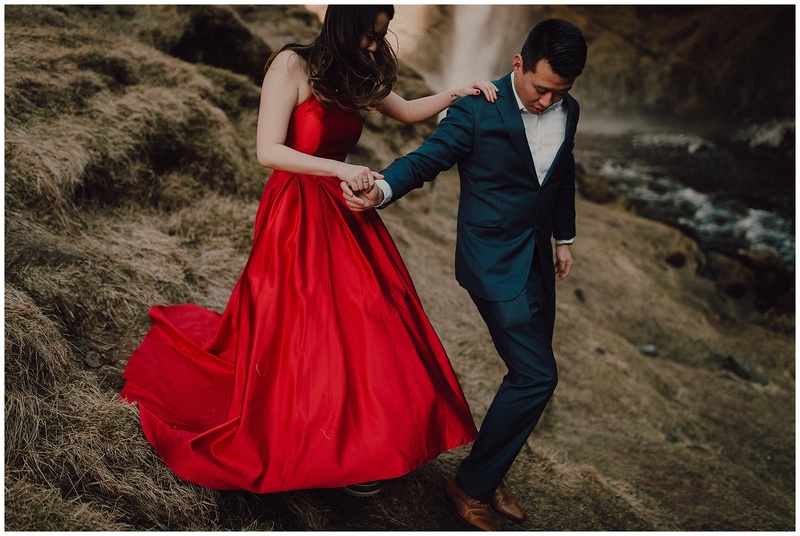 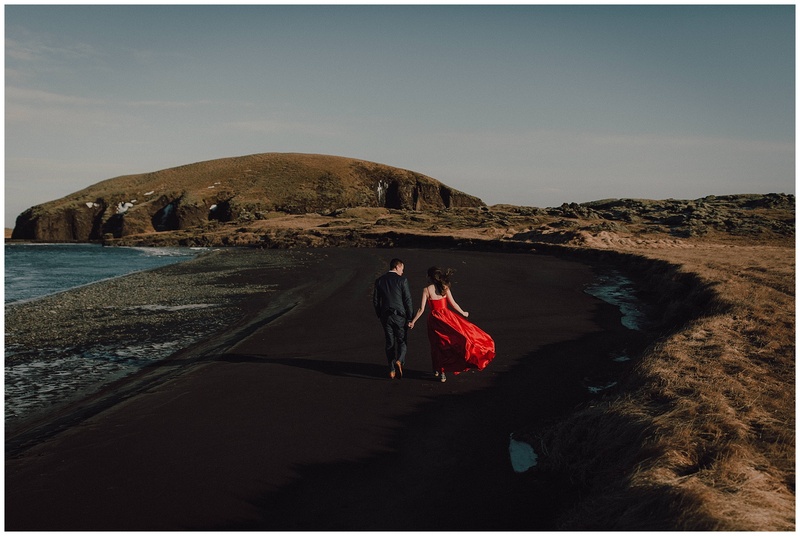 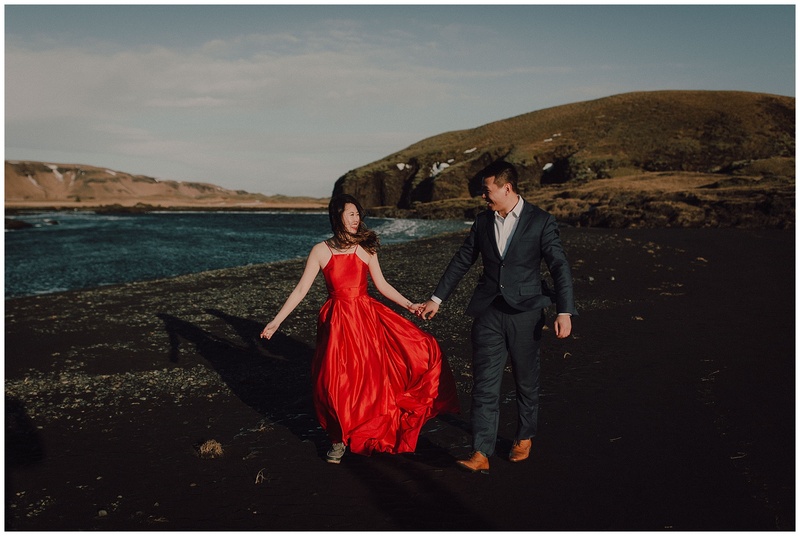 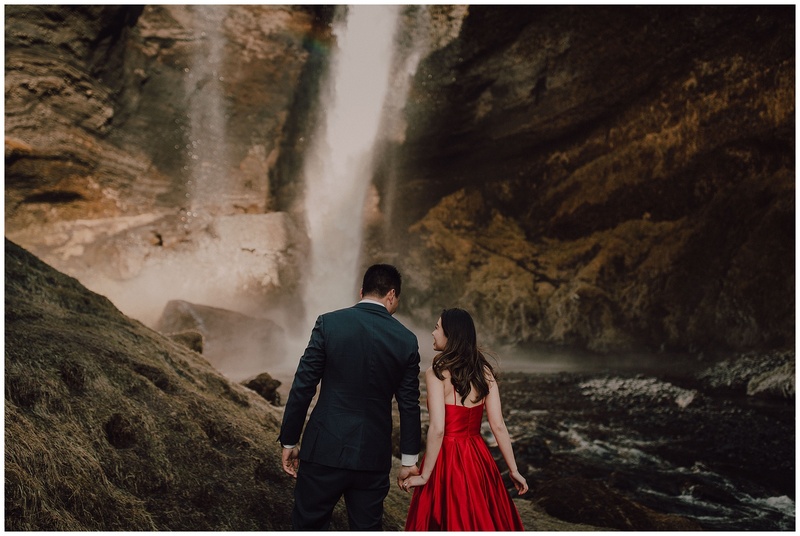 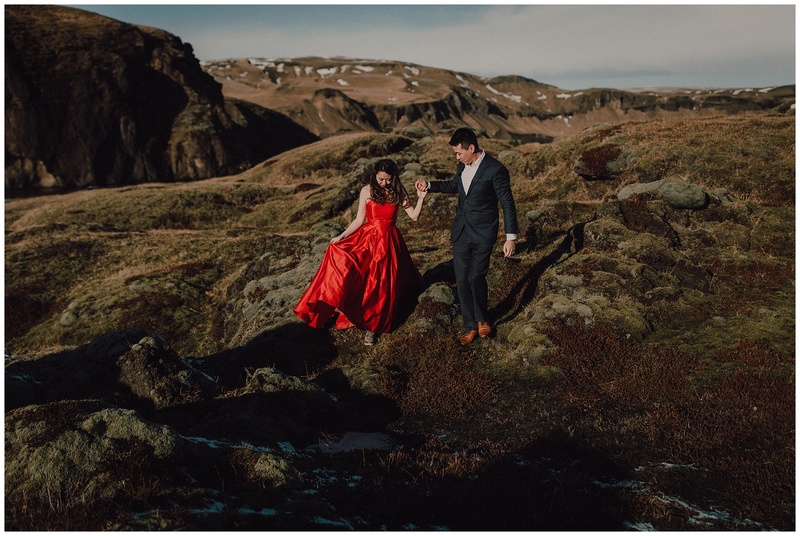 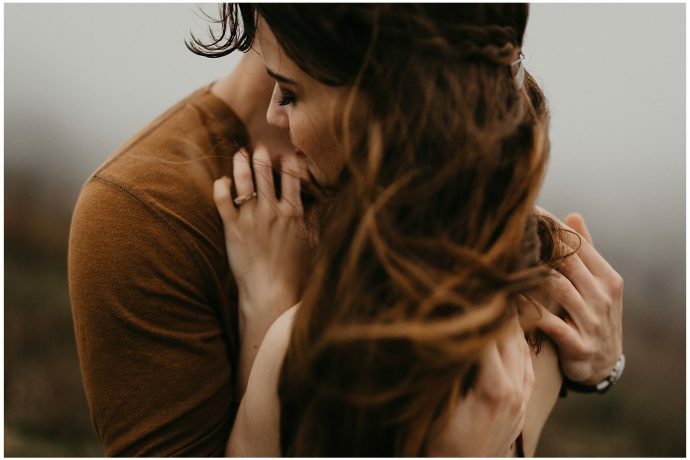 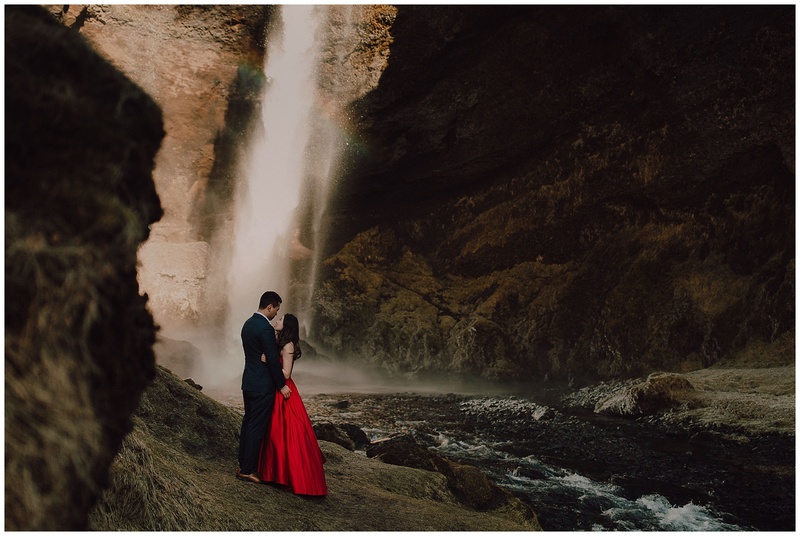 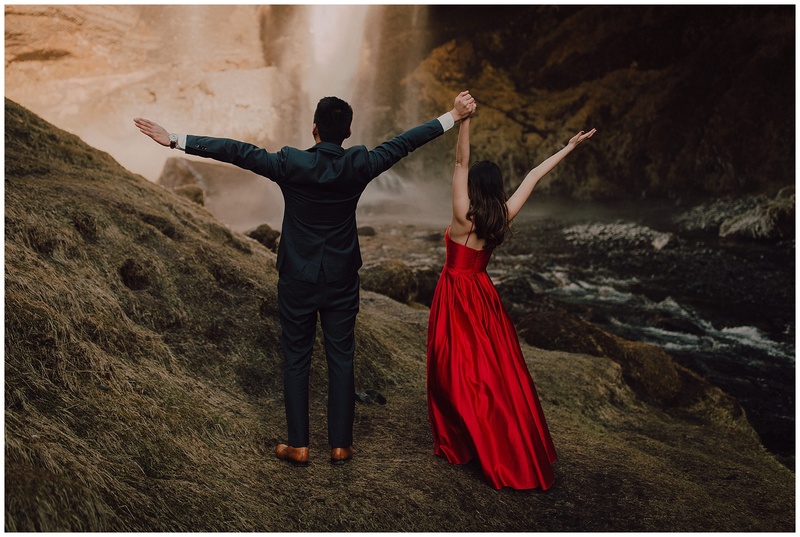 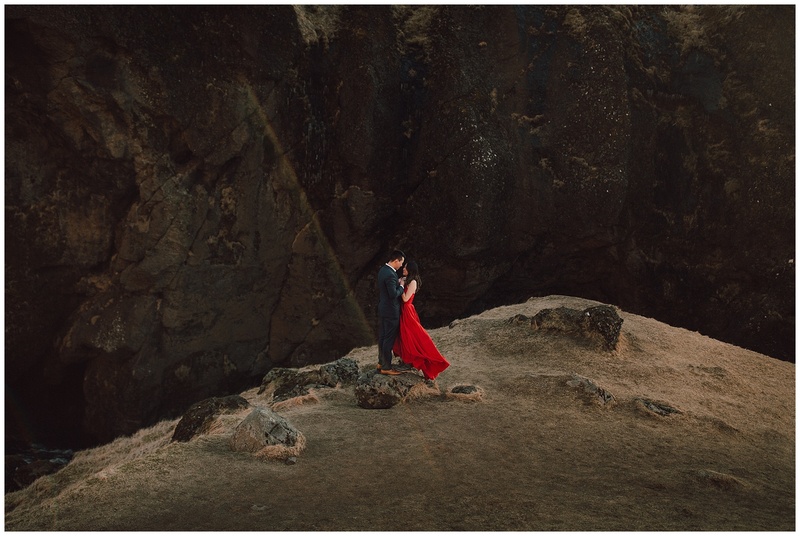 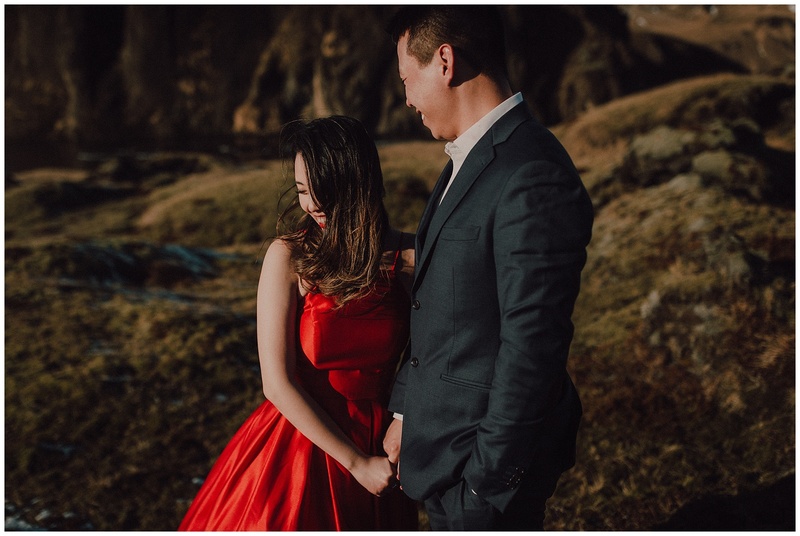 I cannot get over this Iceland Engagement Session. 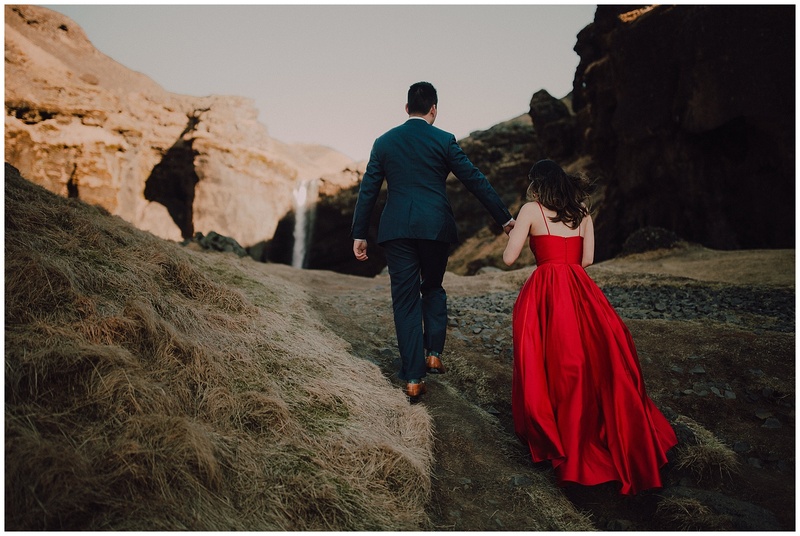 Her dress is the perfect POP of color for this natural wonder!